Come and meet up with your friends and sit and stitch! 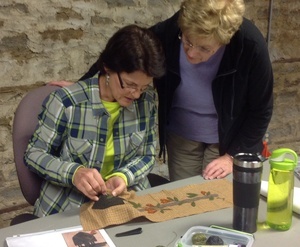 Bring your wool applique project or other hand stitching along for a morning of inspiration and laughter. We are there to help with any questions you might have. These sessions meet the third Tuesday of each month from 9:30- 12:30. There is no charge, just come!